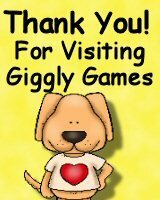 Ask Giggly Games a question. They will receive an automated email and will return to answer you as soon as possible. Please Login to ask your question. I started making quality educational games and activities for my own children when they were preschool age, because I wanted more than just worksheets and activity pages. I've been making and publishing games and activities for preschool and early elementary students for almost 10 years. I believe teaching should be fun! I believe that if a child develops a love for learning they can be taught anything.